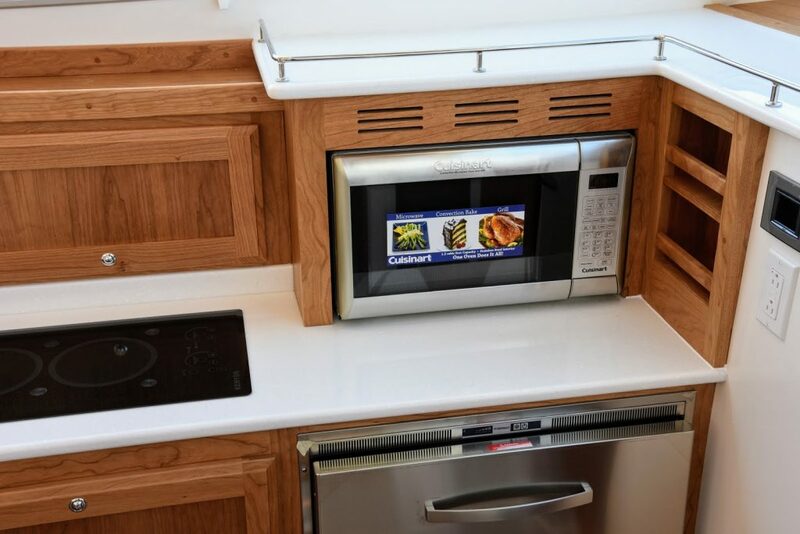 The Back Cove Team is excited to announce several interior design updates to the Back Cove 37. 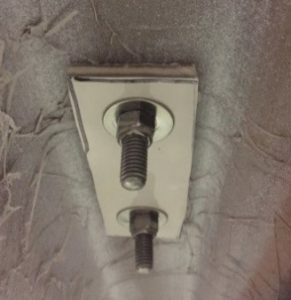 Check out the image captions for all the details, and keep an eye out for more photos on the way! 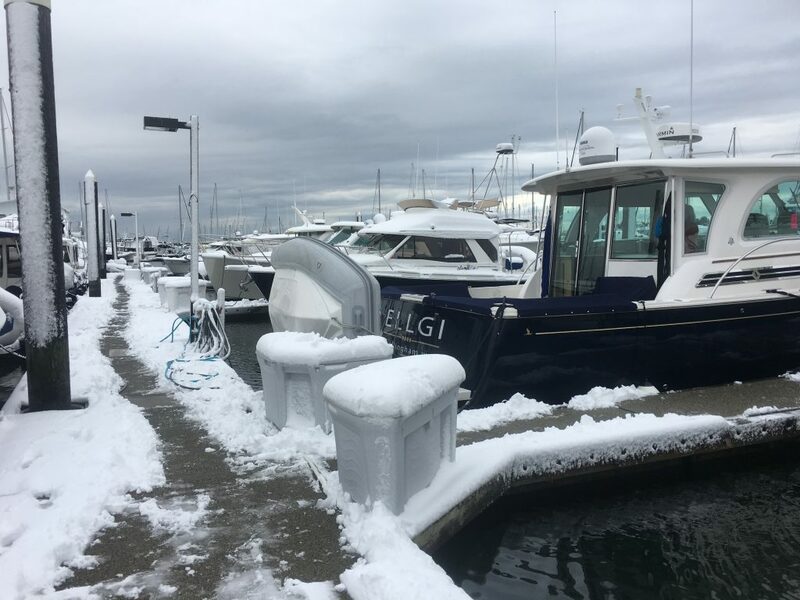 March 1st, 2018 seemed like a good time to check on Ellgi (pronounced LG), our BC 41 hull #4, in Bellingham, WA., of the Pacific Northwest. 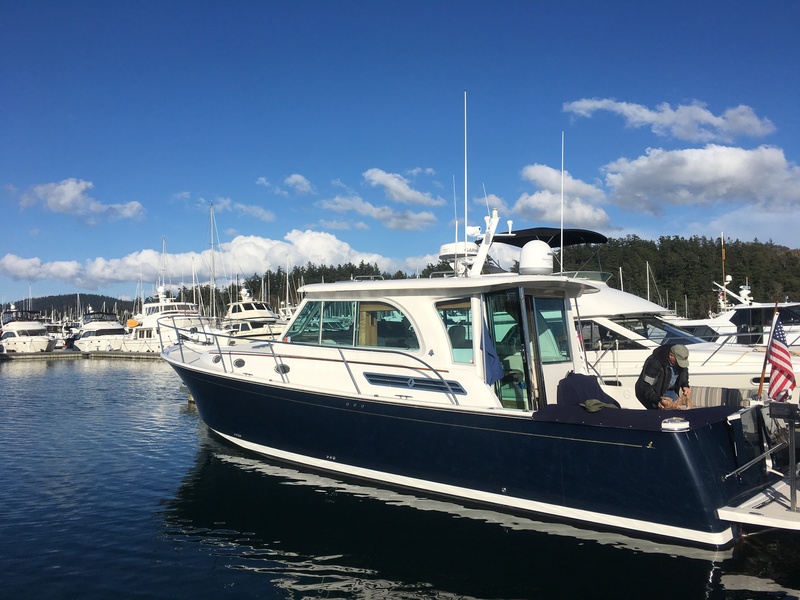 After a flight from our home base in California, we arrived in Bellingham; the sun was shining, winds were calm and made for a perfect day to get her prepped for the upcoming season. 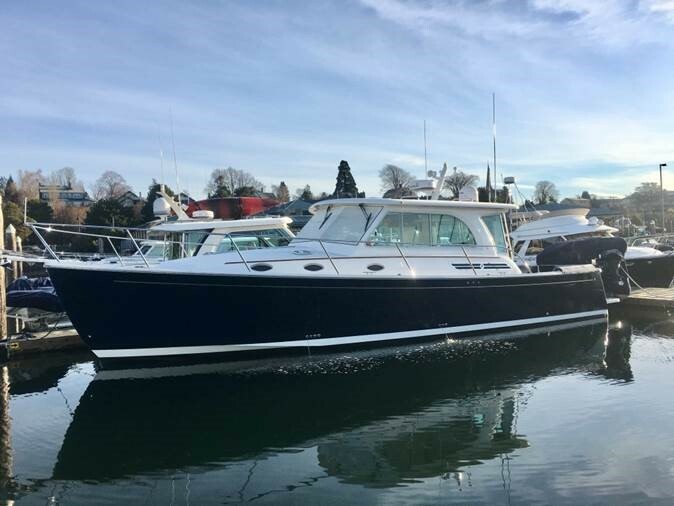 It seemed like a long time since we had last seen her in November of 2017 when we left her winterized and in the snow at the Bellingham docks. 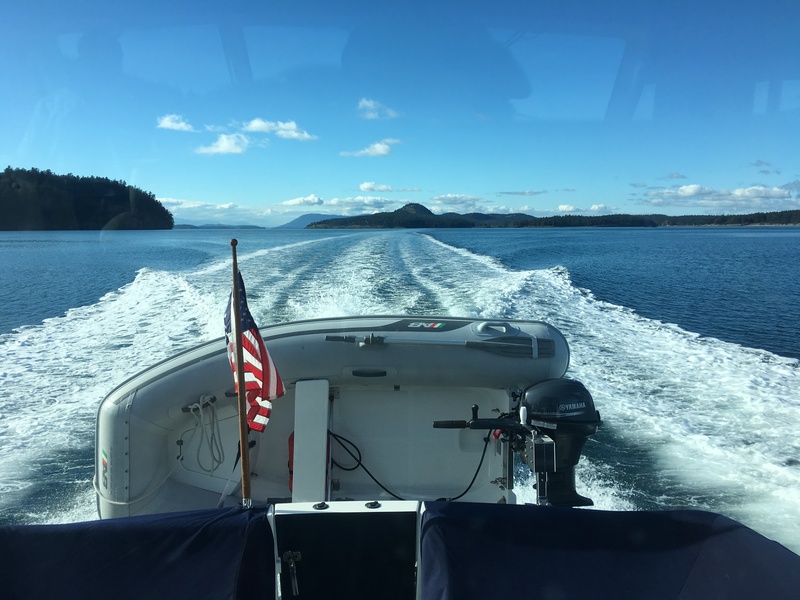 After 3 hours of checking her systems, DE-winterizing, and making her shine, we left the docks and headed to Anacortes, WA, for provisions to last us through a 6-day cruise of the San Juan Islands. The flat water could not have been better, the only ripples were from playful seals and boats checking their crab pots. 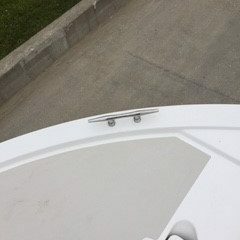 Checked the Marine Traffic app to see who else might be cruising in the area and found only a handful of boats out and about. I think everyone else was surprised the weather could be so great in early March. 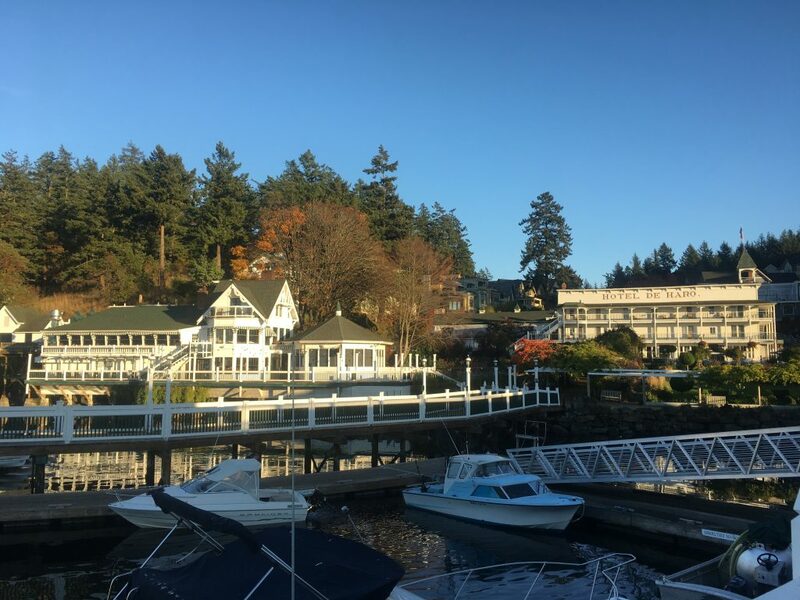 We spent several nights at Roche Harbor, which is one of the best harbors in the San Juan islands. 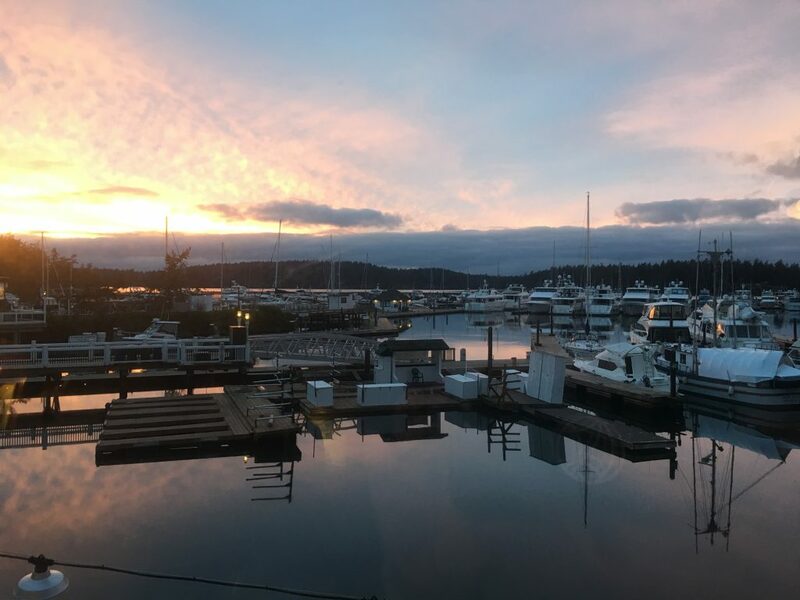 Sunsets at Roche Harbor are a sight to behold. They have a flag ceremony every evening from May to October as the sun sets. 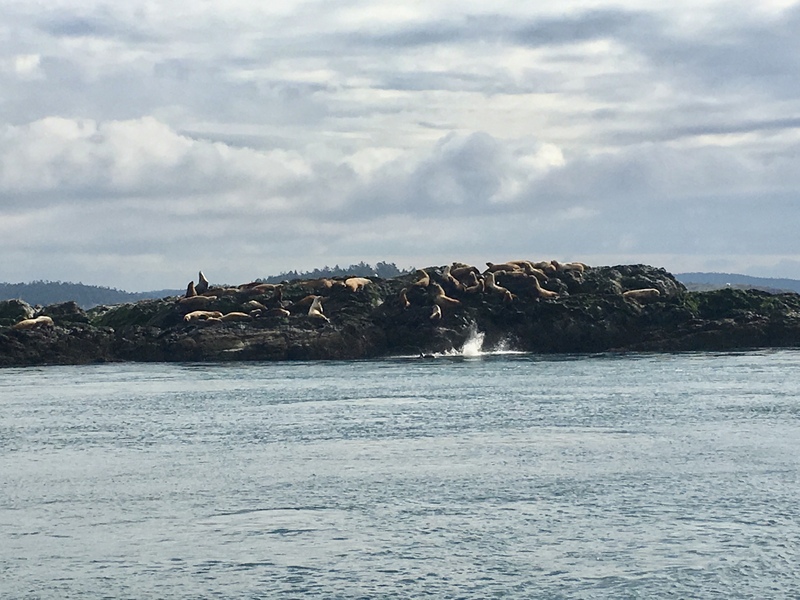 The cruise around the island of San Juan is worth the time – Mosquito Pass, Lime Kiln Light House, Cattle Point, Seal Rock, Bald Eagles, and on to Friday Harbor make for a special day cruise. 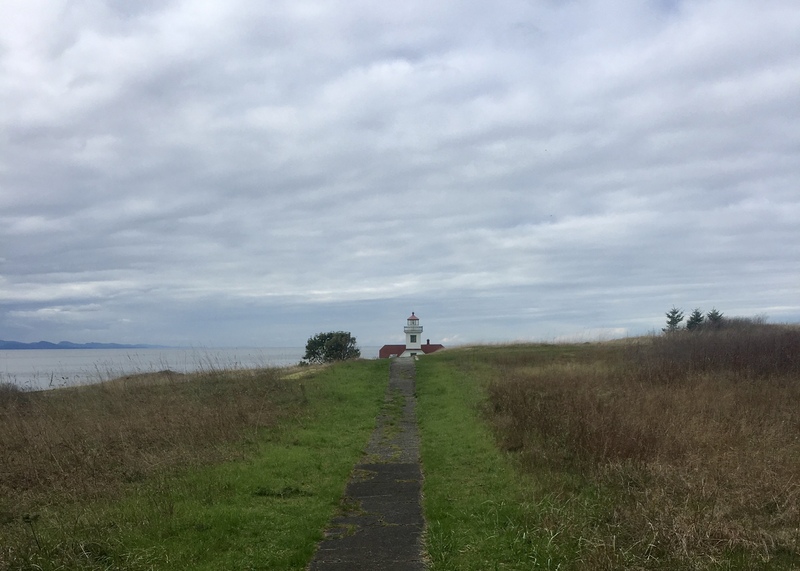 Next day we spent on Patos Island which is a small island just south of the Canadian border. 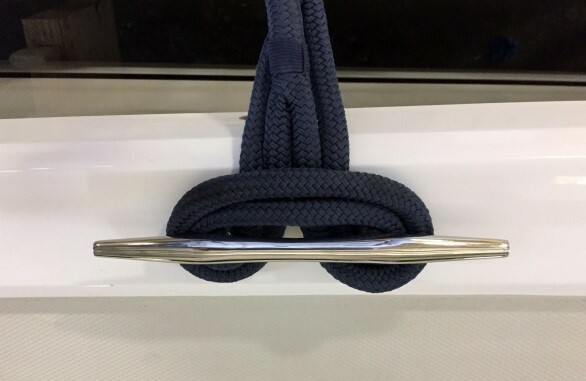 There’s a great place to tie to a mooring ball called Active Cove, which has just enough room for two boats. This time of year we were the only ones on the island. 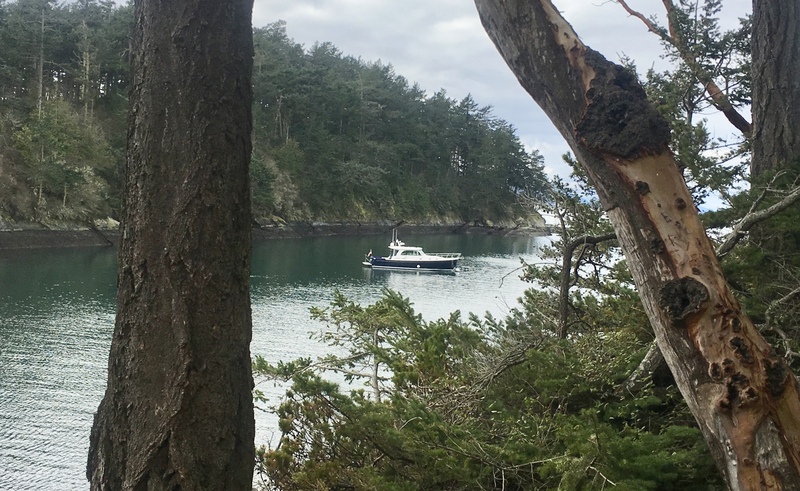 A dingy ride to shore, a short walk to the Light House and then a nice driftwood bon fire made for an enjoyable island adventure. 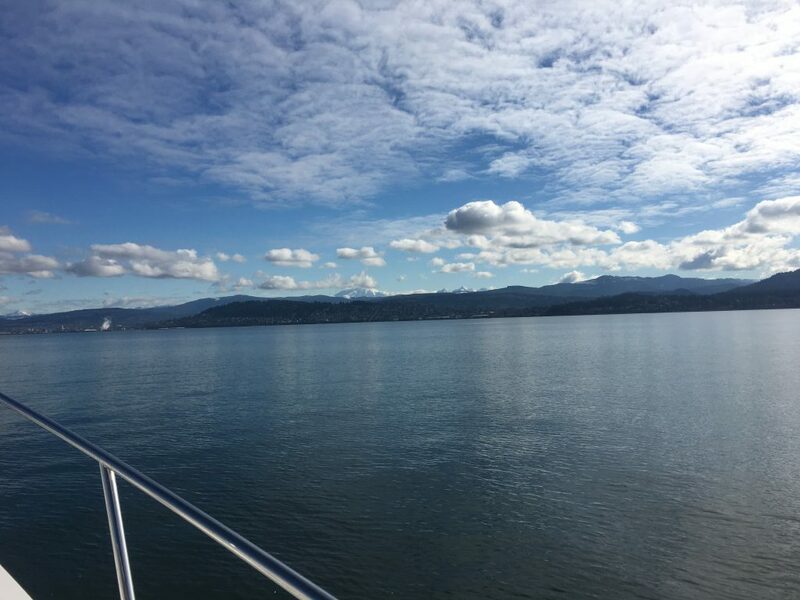 After six days in early March with mostly sunny skies and calm seas, it was time to head back to Bellingham. 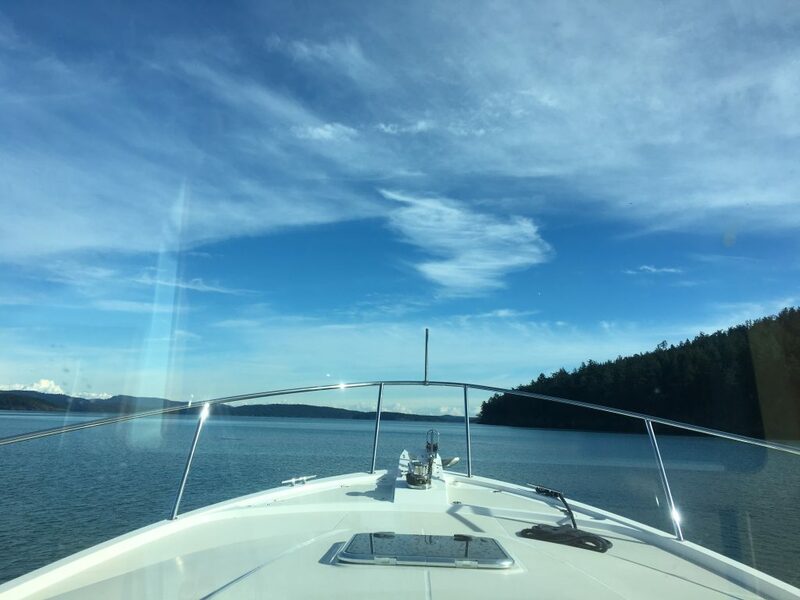 We cruised through Bellingham Bay with water like glass, then it was time to give Ellgi a bath, secure her to the dock, and say goodbye until we see her again in mid-April. 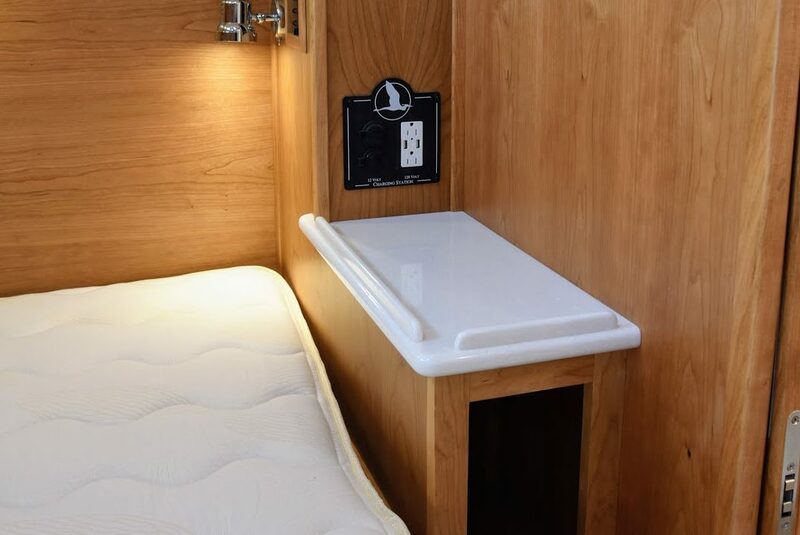 We did have the reverse cycle heaters on for a warm Galley, Salon, and Staterooms. We hope to see you sometime in the Pacific Northwest cruising the San Juan’s, Canada and Alaska! 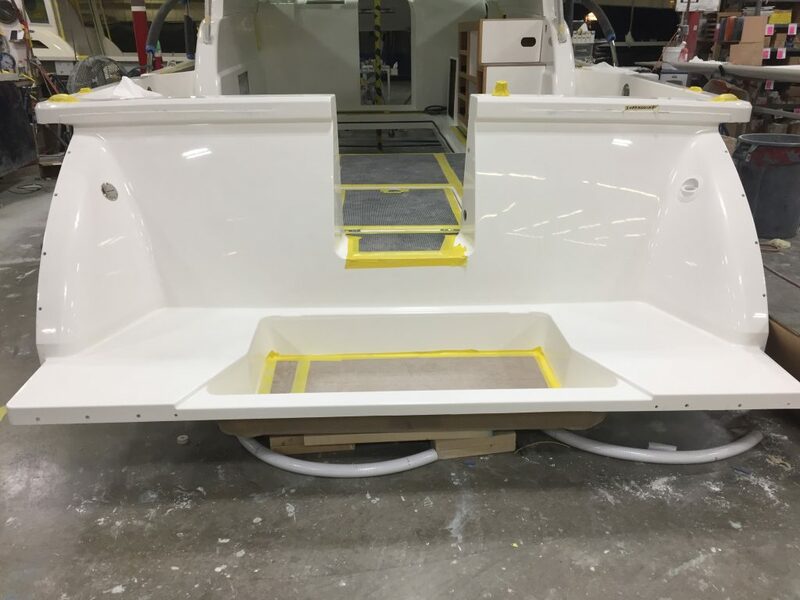 A centerline hatch will cover all rigging for the outboard motors, providing a clear and secure walking surface as well as convenient access. 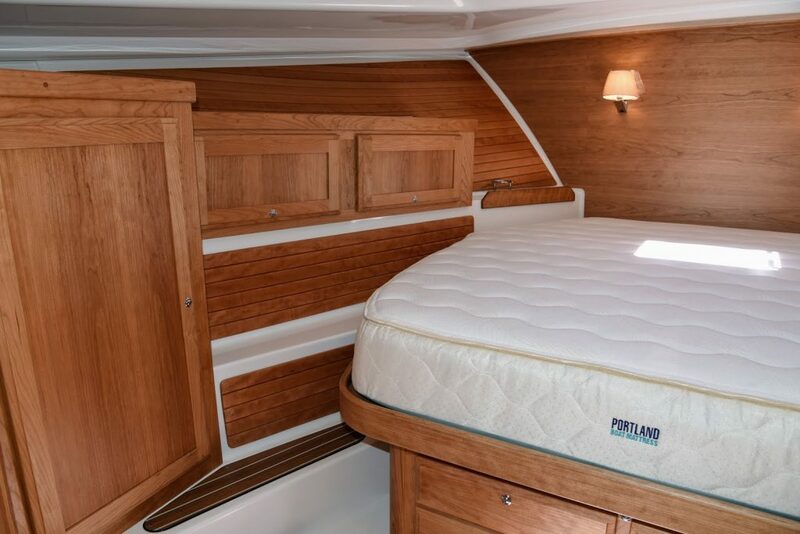 The 34O will feature incredible storage, accessed by a large hatch in the helm deck sole. 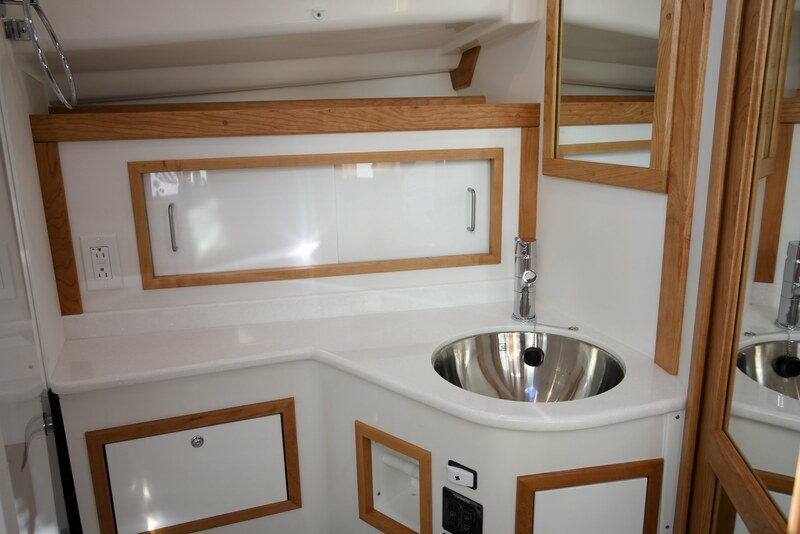 The jaw-dropping all-purpose area amounts to 38 square feet of clear space. (If that doesn’t sound like much, believe us, it is). 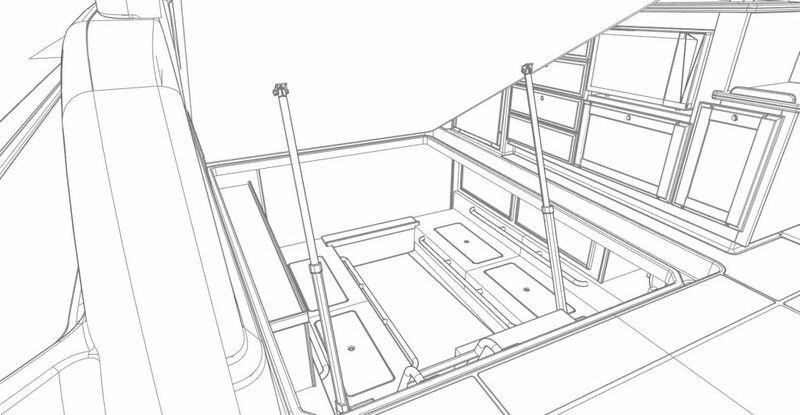 Hull 001 will feature an optional workbench to starboard, leaving ample remaining space for bikes, stand-up paddleboards, and more!